A drone zapped out of the sky, equipment damaged en route, last-minute deployments, excessive heat, reams of data, and a host of other challenges marked the largest solar farm inspection we have performed to date. Although the project brought an unusually high number of challenges, it was the resilience of the pilots, the creative problem-solving of data and operations, and the pure grit of the team as a whole that defined this mission. 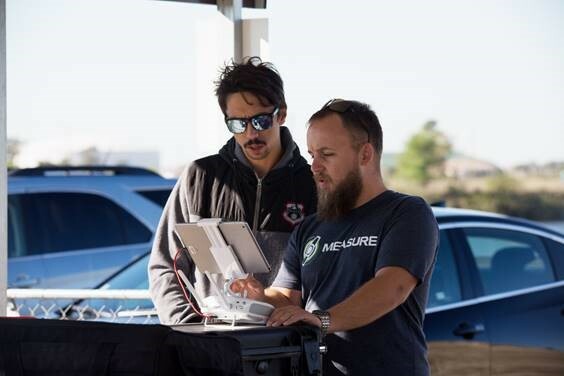 Here is a rare inside look at the complexities of a drone operation and how each department worked together to deliver a high-quality data product to a happy customer in record time. Business Development - "Can you come out tomorrow?" “I had mostly left them alone, thinking they were not ready for the technology,” Kristen explains. Then, out of the blue, three months later, Kristen got a call from the subcontractor. He asked if Measure could come out the next day as they were in the middle of site commissioning. 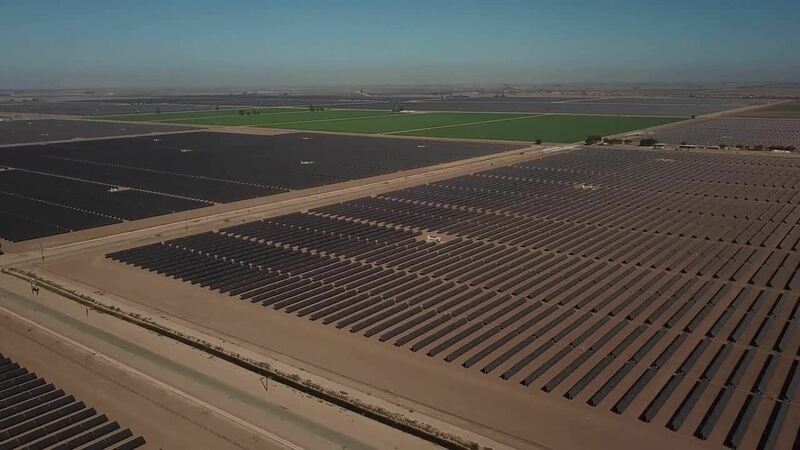 At 328 MW, this was the largest solar farm inspection Measure had ever done on one of the largest solar farms in North America. It was a tall order, in a limited time frame, during the busiest season of the year. Kristen ran it by the team – Operations, Data, and Business Development. They accepted the challenge and immediately went to work, carefully planning out every detail of the mission. Pilots and Operations - "What could go wrong, went wrong." “You could throw a rock, and it would land in Mexico,” Matthew Jungnitsch, Pilot and Drone Engineer, describes the environment at the solar farm. Matthew was one of two pilots who jumped on a plane on short notice to service this project. He recalls, “We went into this project thinking, ‘How the heck are we going to do 2,300 acres?’” The project was more than twice the size of any solar inspection the team had performed to date. It looked like a sea of solar, as far as the eye could see. That's just a portion of the 2,300 acres of solar power. In addition to its size, the location posed a few other challenges: the farm was located right along the border of Mexico, making flying that section a tricky endeavor. The temperature in September in the area was also reaching 105 degrees Fahrenheit by 10 a.m. every day, which greatly affected the amount of time the pilots had each day to take aerial imagery as the operational limit of the equipment is 104 degrees. This meant the team would only have 2 hours each day to fly the drones, a significant decrease from the number of daily flight hours they had planned for. To accommodate for the weather, the team broke the farm up into 11 different sections, with a goal to finish one section every 2 days. That meant the entire project would take 20-22 days to complete. There was no doubt this was a big, challenging job going in. And then the project - and subsequent drama - began. On day two, as the pilots were working on the section near the wall to Mexico, anti-drone technology at the border zapped one of Measure’s drones out of sky. This was the first drone crash the team had experienced as a result of anti-drone technology. They knew this would be a risk, but now it became reality, and so they were down one drone. Now, good drone operators always bring backup hardware in the case of a mishap. And the team had done this; the only problem was that the backup drone had arrived damaged as the case had come apart during shipment. Matthew is a highly skilled pilot with experience in a wide range of missions. Luckily, Matthew had also brought an extra eBee – a great aircraft for large solar inspections - along in order to do some research and development work on the trip, as time allowed. He rushed back to the hotel to pick it up, but to his dismay, he realized that he did not have any chargers for it. So for all of their preparation, the team was still down a drone and needed backup stat. Operations came to the rescue and acquired another drone and shipped it overnight. Still, they had lost half a day of flying time. Operations needed another pilot to help make up time lost. Chris Smith, a veteran pilot with Measure, came to the rescue and flew out on a moment’s notice. The team was now flying multiple sections of the farm simultaneously and were excited as they were trending toward finishing the mission in record time. Chris Smith conducting training on a separate mission. However, pilots are humans and human situations can interrupt operations. Midway through the inspection, one of the pilots had a family emergency and had to get home. The remaining pilots, Matt and Chris, put their heads down and worked every day including weekends. They actually ended up finishing the mission in just 10 days – down from the original 20-22 days they had planned. Although there were many setbacks, the team adjusted their sails as necessary and worked together to complete the mission on schedule. The pilot team packed up their equipment and sent 270 GB of high-quality raw data back to headquarters. Even with the heat and many other challenges, no one had to go back out to re-fly any of the sections due to bad data capture. "What could go wrong, went wrong," Matthew remarks. "Every mission has its challenges, but this one seemed to have all the challenges at one time." Data Engineering - "We're gonna need some help." When they first caught wind of the project, Measure’s data team was excited to work on such a large project. But as they looked at the magnitude of data, they realized they would need to outsource some of the processing in order to meet the deadline for this client while also managing their own workload from other projects. They also noted that the solar panels that were used on this farm were thin-film; this meant their current process, developed based on crystalline modules, was having a difficult time with feature extraction – being able to extract the shapes and parameters of the panels. The team had to find a creative solution that would result in a high quality, yet cost-effective data product. Burton Putrah, Director of Data Engineering, had the idea of calling upon his alma mater, the University of Vermont (UVM), to help. Burton had been an intern at the University of Vermont’s Spatial Analysis lab from 2007-2009. He trusted the quality of the work and knew it would be a great opportunity for the lab. “I saw it as an opportunity to contribute to my university’s advancement and also deliver a high-quality product for Measure’s client,” Burton recalls. 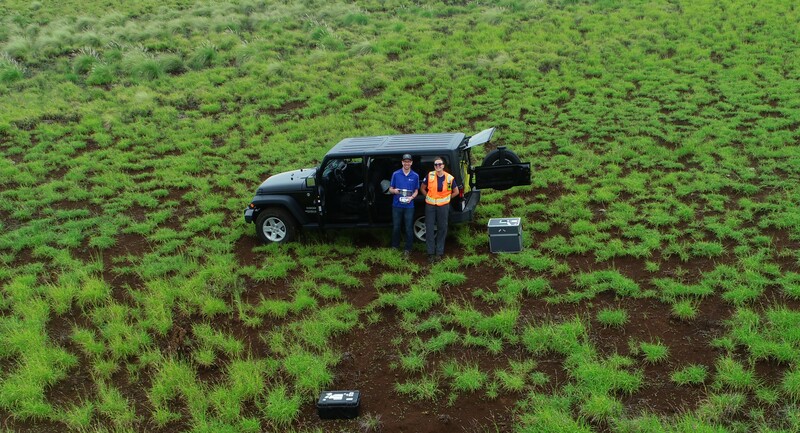 This is Burton actually flying a mission in Hawaii; his pilot experience enhances his skills in drone data processing. Further, the Spatial Analysis lab has a specialty in feature extraction, a perfect partner to help with the challenge of the thin-film solar panels. While UVM provided expertise on feature extraction, Measure provided education and training on solar data, which the Spatial Analysis lab had never worked with before. To ensure a quality and consistent data product, Burton conducted a two day, on-site training for the UVM team, educating them on solar data and Measure’s specific processes. Burton worked closely with UVM all along the way, and the end result was a quality data product that was delivered on time to the client. Bringing it All Together - "Operational agility saved the day." With the tight timeline, many moving parts, and wide array of operational challenges, delivering the final data product to a happy client was a major feat for the entire organization. The client has gone through remediation and now has a historical record of their assets that they will be able to refer to when it is time for their annual Operations & Maintenance inspection or when their warranty is up. Measure’s experienced team, military-grade operations, and dedication to quality made the difference in completing this project successfully, on-time, and within budget. 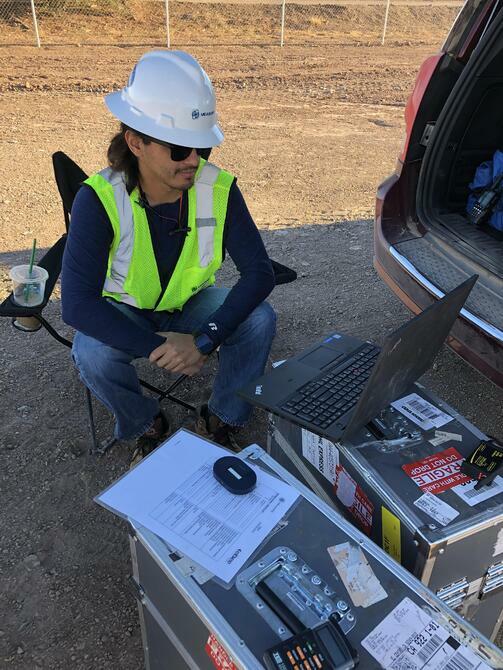 Having one of the largest solar farm inspections under their belts, Measure is confident in their ability to adjust to almost any challenge and still deliver a top-notch product to the client.